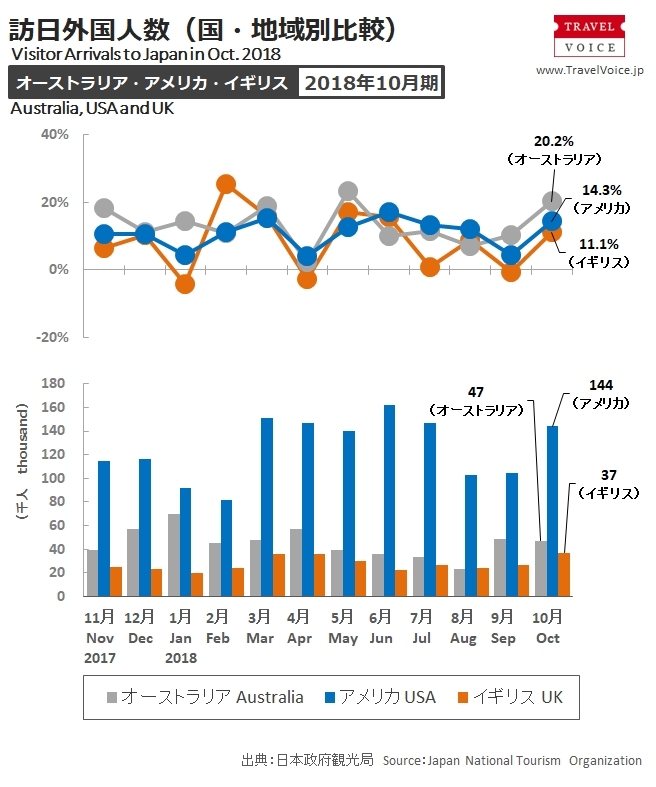 The Japan National Tourism Organization (JNTO)’s statistics in October 2018 shows that Japan received 144,000 visitors from U.S.A. (+14.3%), 47,400 from Australia (+20.2%) and 36,900 from U.K. (+11.1%). All of the results were record-high for October. 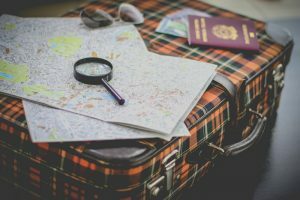 JNTO analyzed that growth of visitors from Australia mainly resulted from effective promotional campaigns in Australia by JNTO and shift of school holidays in some states. In U.S.A., the outbound travel market continued growing, and for Japan, cruise traveler demand was higher. In U.K., the joint advertising campaigns with OTA, consecutive exposures on media and visits of large-scale cruise ships contributed to the monthly growth.